Dr. Michael Balikyan at South Lake Dental practices State of the Art Cosmetic and Restorative Dentistry, as well as Child and Family Dentistry. Dr Balikyan prides himself with his skill and artistry in cosmetic and restorative dental work. Dr. Balikyan received his undergraduate and Doctoral Degrees at the most prestigious University of California Universities. Dr Balikyan earned his Bachelor’s degree in Molecular, Cellular, and Developmental Biology from UC Santa Barbara, which then led him to earn his Doctor of Dental Surgery degree, from one of the leading schools in Dentistry at University of California at San Francisco. Dr. Balikyan is an active member of American Dental Association, Academy of General Dentistry, California Dental Association, and San Gabriel Valley Dental Association. He is committed to keeping up to date with the most current Dental Technology and Procedures through continuing education and dental conferences. Dr. Balikyan focuses on Personalized Care, providing cutting edge dental procedures including porcelain veneers, most advanced in-office and take-home tooth whitening, dental implants, crowns, bridges, using digital x-rays, intra-oral camera, and dental laser. We also provide Nitrous Oxide for your ultimate comfortable experience. Dr. Balikyan’s Dental Philosophy is to educate patients on Dental Hygiene emphasizing on Preventive Procedures and provide treatment options that work best for the patient. Together with the patient and the doctor, we will come up with a treatment plan that will be the best treatment option for you. Treatment option’s primary focus is on being the longest lasting, painless, most functional, and aesthetically most appealing. Our goal is to assist you in maintaining your oral health and your beautiful smile. 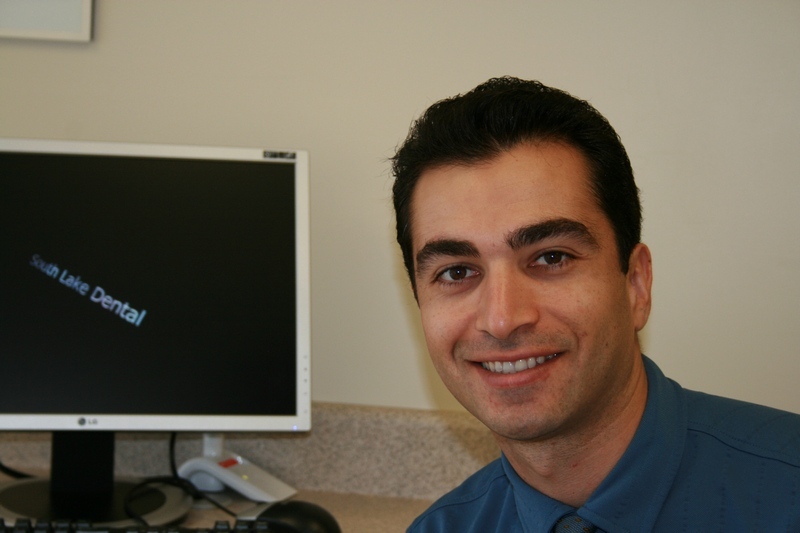 Dr. Balikyan is dedicated to Patient Care by providing a comfortable, stress-free, painless dental experience where he listens to patients’ concerns, takes his time to educate patients, explain dental procedures and treatment plan options. Dr Balikyan is a very compassionate, friendly, caring person and that becomes apparent in his gentle, soothing, and precise dental work. Communication and building relationships with our patients is a key element of South Lake Dental’s philosophy.